Sri Lanka is a nation depending heavily on shipping services. Historically Colombo has been recognized as the most important and strategic geographical point in the east-west maritime group, which was also named as "Silk Route"
The Sri Lanka Shippers' Council was established in March 1966 to protect and promote the interests of shippers. It was the first National Shippers' Council to be set up in Asia and was formed on a request made in 1965 by the local Committee of the Ceylon/Continental Conference, and a subsequent request made by the Director of Commerce in January 1966, to the Ceylon Chamber of Commerce. 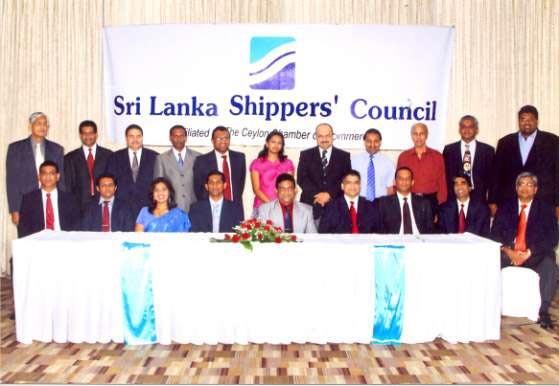 The Sri Lanka Shippers' Council is the apex body that represents the interest of shippers. Membership of the Council consists of Chambers of Commerce and Trade Associations, and fifteen such organisations are currently members of the Council and the Council represents more than 95% of the import/export trade. The Council derives its broad based representation and membership from these trade Associations. The Council has now opened its doors to individual companies as Associate Members so that companies in the import/export trade could have access to the Council's resources and expertise to resolve their shipping related problems. The Sri Lanka Shippers' Council is headed by an elected Chairman and assisted by two Vice- Chairmen who are also elected by the constituent members. The Sri Lanka Shippers' Council is headed by an elected Chairman and assisted by two Vice-Chairmen who are also elected by the constituent members. The Ceylon Chamber of Commerce provides secretarial services to the Council and also acts as the Secretariat. The Council actively promotes the Sri Lankan Government's vision of making the Colombo Port a competitive Maritime & Logistics Center in the Asian region, which would result in the generation of enhanced economic activity, employment and wealth. As such all Council activities have been planned and prepared to support this vision. The Sri Lanka Shippers' Council is a founder member of the Association of Shippers' Councils of Bangladesh, India, Pakistan and Sri Lanka (ASCOBIPS), founded in 1981 and the Asian Shippers' Council, founded in 2004. "To enhance the competitiveness of our members by abolishing hidden logistics costs." Being the APEX Body, protect the interest of our customers and being a strong Advocate to the Government. Ensuring cost effective strategies are developed and implemented in the logistics and value chain to make our members more competitive. Facilitating greater efficiencies in logistics by reducing logistics barriers and simplifying trade. Acting as the mediator in resolving conflicts amongst our customers (members). Facilitating a level playing field by developing and promoting a code of conduct / ethics for our customers (members). Establishing a centre for excellence for information sharing and to upgrade competencies of members to compete globally. Leveraging regional and global partnerships and facilitating global best practices in logistics in Sri Lanka. Have a clear understanding when deciding on Carriers /Freight rates and be clear and free of any ambiguity with regard to the Freight rates and matters prevailing in the Market. Have freight and associated costs stabled, particularly for traditional exports such as tea, rubber, coconut products, which account for at least 70% of total export volume out of Sri Lanka. A major part of the turn over of these exports in foreign exchange is retained in the country and it is vital to protect these industries from international competition. Furthermore, these commodities are with relatively low margins and usually with forward trading patterns cannot absorb constant and continuous cost escalations. Concurrently are the major exports such as garments are usually traded on FOB terms and the local manufacturers are constantly under pressure to provide low priced services, thus are unable to absorb any additional charges keeping in mind that almost all material for these industries are being imported. Therefore the constant increases in charges could seriously affect such industries as they are called upon to pay these charges both at the point of import of raw materials and export of finished products. 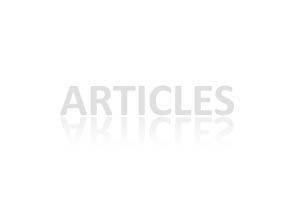 Have reasonable Service providers who would not take undue advantage from their captive customers. Sri Lanka's economy grew by an impressive 8.0 per cent in 2010, reflecting a fast recovery from the setback suffered in 2009 and moved to a high and sustainable growth path. All key sectors of the economy demonstrated a commendable performance in 2010, underpinned by the peaceful domestic environment, improved investor confidence, favourable macroeconomic conditions and gradual recovery of the global economy from one of the deepest recessions in history. Benign inflation and the favourable inflation outlook enabled the Central Bank to continue its accommodative monetary policy stance with further moderation of interest rates in all market segments supporting economic activity. The fiscal situation improved considerably, mainly reflecting the improvement in revenue performance as well as the containment of recurrent expenditure. The external sector, which made a remarkable turnaround since the second quarter of 2009, continued to improve in 2010. Both exports and imports recovered strongly, while increased earnings from the tourism industry and higher inward remittances offset the widening trade deficit to a great extent, reducing the external current account deficit. Increased capital and financial flows resulted in the balance of payments (BOP) recording a surplus in 2010, further strengthening external reserves of the country. Supported by the favourable macroeconomic environment and the supportive regulatory and supervisory framework, the financial sector displayed improved performance and financial system stability strengthened. The massive infrastructure development drive currently in progress is expected to support the country to maintain a high and sustainable growth in the medium term, which will raise the living standards of the people. Timely development of economic infrastructure will help increase economic efficiency while expanding the production capacity of the economy; facilitate productivity enhancement and reduction of regional disparity. Robust social infrastructure is also important in the development of a dynamic human capital base which is essential for the economy to transform into a knowledge based economy. In 2010, the economic infrastructure development programme of the government focused on all areas of infrastructure; development of roads, energy, water supply and sanitation, ports and aviation, transport and rural infrastructure. Several major infrastructure development projects launched by the government during the last few years were nearing completion by end 2010. The construction work of phase I of Norochcholai Coal Power Plant and phase I of Hambantota Port Development Project were completed in 2010 while the Southern Expressway, the Upper Kotmale Hydro Power Project were nearing completion. Government investment on infrastructure development increased to Rs. 337 billion in 2010. Meanwhile, "Maga Neguma" rural road development programme, rural electrification projects, expansion of telecommunication network, minor irrigation projects and community based water supply projects continued to empower the rural economy, supporting a regionally balanced economic growth. The Services sector, which contributed 59.3 per cent of the GDP, grew at an encouraging 8.0 per cent, compared to 3.3 per cent in 2009. The wholesale and retail trade sector, displayed an impressive growth following a negative growth in 2009, due to increased external trade with the gradual recovery of the global economy and domestic trade with the restoration of peace. The hotel and restaurant sub sector showed an impressive growth with a rebound in tourist arrivals and increased domestic travel. The transport and telecommunications sector grew with the improved performance in transport, cargo handling, aviation and telecommunications sectors. The banking, insurance and real estate sub sector expanded with increased income from investments and lending activities, foreign exchange operations and widened financial services through the expansion of bank branches and other service outlets. With the gradual recovery in international trade, the performance of port operations Increased significantly in 2010. The Colombo Port achieved a new record of 4.1 million containers supported by steadfast growth in both import-export and transshipment cargo. Total container handling throughput increased by 19.4 per cent to 4.1 million TEUs in 2010. This also reflects a 10.8 per cent increase compared to the total of 3.7 million TEUs in 2008, the highest-ever performance before the global recession. Transshipment handling increased by 18 per cent, while the cargo handling at the port of Colombo increased by 26.7 per cent in 2010. The global economic recovery has helped the Sri Lanka Ports Authority (SLPA) to improve its financial performance. The revenue of the SLPA increased by 21.2 per cent to Rs. 28.3 billion, while the operating expenditure increased by 11.7 per cent to Rs. 23.9 billion. The operating profit of the SLPA increased by 126 per cent to Rs. 4.4 billion in 2010. The capital expenditure incurred by the SLPA during the year increased to Rs. 6.1 billion compared to Rs. 3.8 billion in 2009. The development of port infrastructure and services is at the forefront of the government's infrastructure development agenda. Phase 1 of the Mahinda Rajapaksa Port in Magampura was inaugurated in November 2010. The port is expected to initially function as a service and industrial port. It will later be developed to handle transshipment cargo, specifically from the Indian Sub-Continent, East Africa and other neighbouring regions. Construction work of Phase II of the Port is under way at an estimated cost of US dollars 800 million. Construction of bunkering facilities and a Tank Farm with 14 Tanks with a total storage capacity of 80,000 cubic metres of petroleum products is scheduled to be completed by October 2011. The supply of bunkers at the port is expected to commence in 2011. Upon completion, the Mahinda Rajapaksa Port will be the largest port in South Asia. Meanwhile, 48 per cent of the construction work of the breakwater was completed in the Colombo South Port by end 2010. The construction work of the 1st terminal is expected to commence in early 2011 and is expected to be ready for operation in 2013. The South Terminal of the Colombo South Port project is designed as a Public Private Partnership (PPP) project on Build, Operate and Transfer (BOT) basis. The Colombo South Port project with three terminals, and each terminal having the capacity of 2.4 million TEUs per annum, will increase the capacity of the Colombo Port by 160 per cent upon completion. Construction work of the Port of Oluvil is expected to be completed by mid-2011. Construction work at the Galle and Trincomalee ports were under way in 2010. The government has declared its intention to develop the country as a regional shipping hub. Sri Lanka's strategic location within close proximity to the East West maritime route used for international trade, the growing trade in the Indian sub-continent and the increased level of integration with the rest of the world, has helped Sri Lanka to emerge as a shipping hub in the region.The SLPA has been proactively involved in addressing the capacity limitations of the port sector and the modernization of port operations through infusion of new technology to make Sri Lanka a shipping hub in the region. Sri Lanka has a massive potential to develop the port and shipping industry into one of the prime sectors of the economy, which would help generate foreign exchange and a range of direct and indirect employment opportunities in the medium term. The SLPA has taken several measures to improve productivity and efficiency of port operations. It is necessary for Sri Lanka to differentiate itself as a unique, high quality and timely service provider to emerge as a shipping hub. Separate bays have been planned within the Port of Colombo to facilitate importers and their representatives to clear cargo with minimum delay. Facilities at the Jaye Container Terminal of the Port of Colombo are being upgraded to enhance efficiency and productivity. Steps were taken to set up a "Cargo Village" at Peliyagoda on a land with road and rail connectivity. Also, an electronic documentation transfer system is to be introduced for importers and exporters to submit shipping documents without visiting the port. An online payment system will also be made available for port users. Although, Sri Lanka is strategically positioned on a popular maritime route, the ports sector faces competition from counterparts in the region. Hence, to maintain the competitiveness, it is essential to continuously focus on improving the infrastructure of the ports. While many measures are under way, less importance has been placed on the development of an effective inter-modal transport system. It is important to improve the road and rail connectivity to and from the port to ensure cost-effective transportation within the country. Further, there is an urgent need to implement the planned port information systems and to develop information systems linking with other key ports in the region. It is also necessary for the SLPA to engage in cooperative ventures with ports in countries such as China, India and those in Africa. This can help SLPA to gain expertise related to the development and management of state-of-the-art ports. This will also provide an opportunity for SLPA to forge partnerships with major shipping lines. Both export and domestic agriculture contributed to the improved performance in the Agriculture sector. Benefiting from favourable weather conditions, the tea sub sector registered the highest ever annual production of 329 million kg compared to the distressed output in 2009, while rubber production also continued to increase. Export agricultural crops such as cloves, pepper and cinnamon contributed positively to the improved performance in the Agriculture sector. Within domestic agriculture, paddy production recorded an impressive growth in 2010 due to increased extent of cultivation particularly in the Northern and Eastern provinces, favourable weather conditions and the continuation of agriculture support schemes. Coconut production declined significantly by 19 per cent in 2010, and sugar production also recorded a marginal decline. The significant expansion in fishery activities in the Northern and Eastern provinces largely contributed to the increase in fish production by 12 per cent in 2010, while domestic milk production increased notably with the committed efforts to enhance domestic milk production. Prices of key agricultural crops remained high in 2010. Tea prices at the Colombo tea auction recorded historic high levels with increased demand for Sri Lankan tea. The average prices of all varieties of rubber increased due to the severe supply shortages of natural rubber in the international market and increased demand due to global economic recovery and high crude oil prices. The decline in the coconut production together with an increased demand for industrial usage led coconut prices to rise significantly. Despite the increased paddy production in both seasons, prices remained stable assisted by the intervention of the government through its paddy purchasing programme. The average producer price for liquid milk increased to encourage dairy production. Several measures were taken by the government during 2010 to promote agriculture. To encourage tea re-planting and new planting, the subsidy for tea smallholders was increased while extending the subsidy for coconut re-planting and new planting as well. Despite the high fiscal outlay, the fertiliser support scheme was continued and extended to cover coconut and other field crops from 2011. With a view to promoting supply of high quality seeds, a three-year seed farm development programme was proposed under public-private partnership basis. Expenditure on imports grew by 32.8 per cent, led by intermediate goods imports. As a result, the trade deficit expanded to US dollars 5,205 million in 2010. Although export earnings were volatile in the early part of the year amidst uncertainties regarding the global recovery, they improved towards the latter part of the year, indicating a new growth path, despite the withdrawal of GSP+ concessions. This reflected the peace dividend and the dynamism of local exporters. Meanwhile, international commodity prices rose due to the global economic recovery, higher demand for commodities from emerging economies, and global supply constraints. Consequently, agricultural exports continued to fetch high prices in the international market. Higher commodity prices, particularly crude oil prices, caused expenditure on imports to increase in 2010. Imports of consumer durables, such as personal motor vehicles and electronic goods also increased. The western countries continued to be Sri Lanka's major export destinations despite their weakened economies in 2010 while India, Singapore and China were the foremost import originating countries in 2010. India emerged as the largest trading partner in 2010 by accounting for nearly 20 per cent of Sri Lanka's imports and 5.6 per cent of its total exports. USA, which is the major export market for Sri Lanka, accounted for 21.1 per cent of exports, followed by UK and India. Garments remained the largest export to USA and UK. The major exports to India were rubber and rubber products, and animal fodder. Exports to EU countries accounted for 35.0 per cent of total exports in 2010. Among these, UK, Italy, Germany and Belgium remained the main destinations representing 12.3 per cent, 5.6 per cent, 4.8 per cent and 4.8 per cent of total exports, respectively. Nearly 16.3 per cent of the country's garments were exported to Germany and Italy and approximately 72.6 per cent of Sri Lanka's processed diamonds were exported to Belgium. Russia and Iran, which accounted for nearly 15.9 per cent and 10.1 per cent of total tea exports, respectively, continued to be the major destinations for tea in 2010. The Middle Eastern region was the foremost export destination for Sri Lanka's tea, accounting for 48.1 per cent of total tea exports. India, which continued to be the largest source of imports, accounted for nearly 19.0 per cent of imports in 2010. The main imports from India included refined petroleum products, motorcycles and auto-trishaws. Singapore and China followed as the second and third largest import source countries. Main imports from Singapore comprised of petroleum products, milk and milk products while the major imports from China were machinery, mechanical appliances and cotton. Iran and Japan remained the fourth and fifth largest import source countries for Sri Lanka. The major import from Iran was crude oil while that of Japan was motor vehicles. At the Fortieth Annual General Meeting held on 30th June, 2010, Mr. Gehan Kuruppu was elected as the new Chairman of the Council for the year 2010/11. Thereafter Mr. Dinesh De Silva and Mr. Sean Van Dort were elected as 1st Vice Chairman and 2nd Vice Chairman of the Council respectively. The activities of the Council have been focused on issues faced by shippers on shipping and port related matters. The Council always performed a lead role in resolving problems and serve as the focal point where various shipping and port related matters are brought up and discussed. In addition, the Council actively advises the Government on matters relating to port and shipping whenever its advice is sought after. A detailed description of the activities of the Council appears elsewhere in this report. However, in this section for your easy reference we give below the main topics covered in the report. At the beginning of the year, the Council sent a written objection to Mr. Anura Jayawickrema, Additional Secretary, Ministry of Ports & Aviation stating that the council wishes to object at the manner in which the subject of "THC and other charges" had been taken off the Agenda of the Committee on Maritime & Trade Related Policy without the consent of the members of the committee. CASA was requestedto give a feedback on the proposals relating to THC, jointly submitted by SLSC and JAAF. Therefore, SLSC requested to be included in the matters relating to "THC and other charges" in the agenda. It was also requested that all members of the committee to should submit observations relating to the proposals, and not just CASA and in case the subject is e taken off, then it should be done with the consent of the entire committee and reported to the Secretary asking to be agreed with the procedure. This issue is yet to be resolved. Thereafter there was also a letter sent by JAAF rejecting the proposal made by the SLSC Vice Chairman at the meeting of the Committee on Maritime and Trade related policy issues and mentioned that such proposals should not have been made without prior consultation of the members. SLSC sent a reply to this letter by mentioning that after discussions at the monthly meeting, the outcome was that this statement made was only a proposal and a suggestion and not an undertaking for any costs. Towards midyear SLSC was informed that the Treasury and the NCED were compiling the documents on the THC subject matter and SLSC, on their request, re-submitted the previous papers submitted in 2008 to Mr. Ranjith de Silva for their reviews so that the THC matters can be looked into once again. It was also reported that Mr. Rohan Masakorala, Secretary General, JAAF was requested by secretary to the Treasury to prepare a new paper on this matter with the legal status along with the pro's and con's and how it could be avoided. It was stated that that in the Government budget proposals under article 28, there was a strong statement to say that His Excellency the President proposes to bring in suitable legislation /reforms to counter unfair practices and charges imposed on Importers and Exporters and that the government would take up measures during the first 100 days of 2011. SLSC sent a letter thanking the Government and the Treasury, regarding the steps taken to eradicate unfair measures in the industry. The Council hopes to meet the Government officials concerned to discuss further on the matter. The year under review saw freight rates fluctuating and there was a downward trend overall compared to the beginning of 201 towards March 2011. Within the year, it was observed that some major liner services had withdrawn larger ships and concerns were raised that main lines not visiting Colombo will create a crisis and ripple effect which could affect other lines as well. But this issue was overcome towards beginning of 2011 and more lines were calling to China from Colombo. The good news was that the space issue was more rectified and there was more space open since the expected volumes from China did not come through. This in return helped the rates to be held low. Towards beginning of the year 2011, the Japan, Far-East rates, had come down and EU and US rates had come down and settled. The Australian peak season did not kick in as expected and this resulted in good rates towards end 2010. There were several GRI's due over the year but did not come through and did not result in any major changes sectorally. One of the main issues seen in the year under review was that a large number of Transshipment cargo from India was in the Sri Lankan Port after the accident in the Nhava sheva port. The recovery from the backlog that was created from the Previous berthing delays and resulted in very slow movement and Port delays. Another issue was that shipments to India had space constraints and good equipment was not available towards late 2010. Over the year, the import rates saw a decline and became stable especially for Far-East shipments which could have been in turn to cover the capacity, although the import rates were slightly up in the beginning of 2010. Beginning of 2011 saw that import rates had come down slightly and had settled down with enough shipping space. But there was a slight increase in the Indian import rates which were going up due to an equipment shortage to Indian sector. In February 2011, concerns were raised stating that there could be a possibility of Bunkering costs rising in future. With regards to the Courier rates, in September 2010, it was reported that the Fuel surcharge which was tagged to the Rotterdam fuel index had come down to 16 from the range of 23-24 from last year and the benefit would be passed on to the companies and the courier companies. Further information on this matter could be obtained from the internet site under the US department of Transport. It was brought to the notice of the Council by The Sri Lanka Apparel Exporters' Association (SLAEA) that the change in volumetric weight calculation by courier companies was done and the volumetric divisor was changed from 6000 to 5000 resulting rise in costs in the sector. It was noted that this was a global change and was to encourage more density in packages and almost all courier companies such as UPS, FedEx, TNT, DHL etc. had gone into this change and that they were informed to strictly comply on this mandate 100% and that airlines will also change in future. SLSC wrote to the Sri Lanka Association of Air Express Companies to consider giving the previous rate since the Airlines were at that time, still at the old conversion rate. Towards March 2011, it was reported that a surcharge for oversized shipments would be implemented starting this year but that it was still a commercial decision. At an Approved Association meeting at CCC, the Chamber had suggested to SLFFA and SLSC to have a separate meeting with CASA to discuss various issues arising such as additional costs in the trade and to look in to this list of various surcharges. SLSC has had several productive meetings with CASA in order to discuss matters such as various adhoc charges and other extra surcharges charges by some shipping lines and forwarders. These were very cordial meetings which would help in future for both parties to have a good relationship and it was agreed to have a quarterly meeting with CASA & SLSC. The SLSC's concerns on numerous additional charges, Vessels Berthing delays, the current port productivity/efficiency, how to improve the services, bad equipment and shortage, were some of the topics that were taken up for discussion. CASA had assured that they would discuss the matters brought up at their monthly meeting and will try to control the situation in the long run. The long awaited E-Customs module has been discussed over the year under review and yet, SLSC has seen very slow progress on the same. In July 2010, SLSC protested in the increase in CUSDEC charges by e-Services and clearly stated the council's dissatisfaction of its current services. Towards October 2010, notice was brought to the council that the services of e-Services were withdrawn but upto the end of the year under review, the actual status of its functions remain unclear. SLSC continues to stand on its view that a second player should be introduced to the industry other than e-Services. The Council observed that Customs together with ICTA were doing the ground work towards the latter part of 2010 and was in process of doing the networking part in order to get ASYCUDA world up and running in 2011. SLSC felt that the DTI system could be better than e-Services. The Council believes that a fully web based programme was needed instead of a dongle based one and continues to have constant dialogues with the new Director General of Customs who has assured that that customs would try and match or give a better service than e-Services once the E-Customs new system is fully functional. June 2011 has been targeted as the month of implementation for ASYCUDA world and the Customs officers were being trained overseas in March 2011. It was mentioned that the Secretary to the Treasury was also pushing the Customs department towards this target and that for Tea shippers the Blend sheet module will also be developed under E-Customs. As expected by SLSC last year, Sri Lanka has been delisting from war risk countries category by the maritime insurer Lloyd's of London's Joint War Committee (JWC) after the island ended its decades-long ethnic war. This in turn will offer a major boost to the country's shipping sector which is targeting strong growth over the next few years. It is also noted that this would facilitate a major boost in the Foreign Direct Investments (FDIs) and premium related shipping lines will also benefit much from Sri Lanka being delisted from war risk countries. It also has a tremendous opportunity to develop business in the Northern and Eastern provinces. Sri Lanka being delisted from the war risk is a significant achievement to the maritime industry as well as for the nation. The Council is pleased to announce that the dialogues with the Sri Lanka Customs continued, along with the other Association, during the year under review. Concerns of the Importers and Exporters with regard to various policy matters and operational issues were brought to the attention of the DG Customs during this period. The Asian Shippers' Council Meeting & Global Shippers' Forum was hosted in Macau last year from 5th- 8th September 2010. Various goals and challenges faced by shippers in the organization were discussed. A presentation was made by Mr. Rohan Masakorala, Secretary General, ASC on INCOTERMS and it was mentioned that there would be a new draft out on September 27th 2010 with a clear definition of FOB terms etc. which the shippers can use in a very beneficial way. A member delegation led by Chairman, Mr. Gehan Kuruppu and 1st Vice Chairman, Mr. Dinesh De Silva represented Sri Lanka and the Shippers' Council. The next GSF meeting is scheduled to be held in Atlanta, Georgia towards end 2011 where GSF is expected to be incorporated. There were no significant activities under FASC after the AGM held in New Delhi 2008. The International Quizzing Association- Sri Lanka Chapter in association with the Sri Lanka Shippers' Council embarked on a capacity building programme which was endorsed by the Asian Shippers' Council to build interest, knowledge and skills among the international trade and the logistics community. With the participation of over 40 teams with over 200 participants to embrace the Logistics and Trade Quiz Trophy, it also gave away attractive prizes and certificates for the participants from multiple trades. After years of being listed as a held cover country and later being ranked as a high risk country, Sri Lanka was de- listed by Lloyds of London in 2010 as a risk free region in South Asia as the conflict ended with the LTTE. The country has now become a new hot spot in Asia for investment/logistics and tourism. The aim of this Seminar was to create awareness amongst all interested parties including marine, air, land, logistics providers, bankers, leisure & travel, motor car industry, construction industry, health care & all other relevant businesses, about what delisting means to shipping, investment, tourism & business in general and also provide insight into Lloyd's ratings. Presentations were also be made by Protection & Indemnity Club (P & I) and Sri Lanka Insurance Corporation Ltd (SLIC). The Council continues to facilitate the trade by assisting in the mediation of trade disputes among the shipping lines, freight forwarders, NVOCC Operators, and shippers. The Council continues to maintain its close association with the Government and Private sector organizations and also with the Trade Associations with a view to improve the service level of these organizations. Some highlighted representations made during the year were as follows…. Committee on Maritime & Trade Related Policy issues. The Chairman of the Sri Lanka Shippers' Council is a member of the Committee of the Ceylon Chamber of Commerce, the oldest Chamber in Sri Lanka with a history of over 170 years. The Council members have had several meetings with the Chamber officials on policy matters relating to port and shipping. The membership of the Council is open to all Trade Chambers and Associations engaged in Shipping and Port related activities as well as individual companies in the import/export trade. The membership committee is responsible for developing and increasing the membership of the Council. The annual membership fee for Trade Associations/Chambers was Rs. 7,500/-, while the membership fee for individual companies was Rs. 3,500/-. However due to the escalating costs the Council decided to increase its annual subscription as follows from the forthcoming financial period. The Ceylon Chamber of Commerce manages the Council funds on behalf of the Council. The Ceylon Chamber of Commerce provides Secretarial services to the Council. The infrastructure of the Chamber is readily available to the Council.